The Governor with the popular saying “My People! , My People! 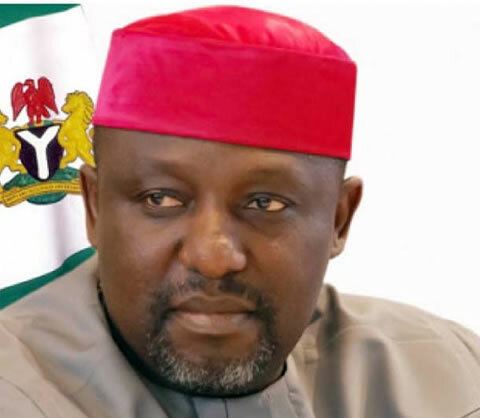 !” Owelle Rochas Okorocha, of Imo state has officially taken the step to run for Orlu zone senatorial seat ahead of 2019 general election. The APC chieftain made the declaration at the weekend, while responding to the call by Orlu Zone Political Leaders who visited him at the Government House, Owerri, who urged him to contest for the position. According to a press statement by his Chief Press Secretary, Sam Onwuemeodo, Governor Okorocha who had boasted that he did not need any campaign or poster to win the election, would be contesting the position on the platform of the All Progressives Congress, (APC). The statement read; “It is interesting to inform all men and women of goodwill especially Imo people and Orlu Zone people in particular that the governor of the State, Owelle Rochas Okorocha has officially announced his intention to contest the 2019 election for Orlu Zone Senatorial Seat. “The governor, who had few months ago given the hint that he might contest the 2019 election to go to the Senate for Orlu zone said he will be contesting the election on the platform of All Progressives Congress (APC). “Since he made the open declaration to run for the Senate, there has been high level excitement across the State and moreover in Orlu Zone since one good turn deserves another. “He thanked people of the state and Orlu his zone for loving him and appreciating all he has done for the state as their governor, despite criticism from the opposition in the state. On why they persuaded Okorocha to seek the position, Dr. Steve Orji, who led the Orlu zone political leaders, said that looking at the governor’s monumental achievements in the state, the leaders have no other option than to ask him to run for the Senate to represent the zone. My People ! My People ! !, My Governor! My Governor! !